Why wait until the undead uprising to enhance your arsenal of apocalypse gear? 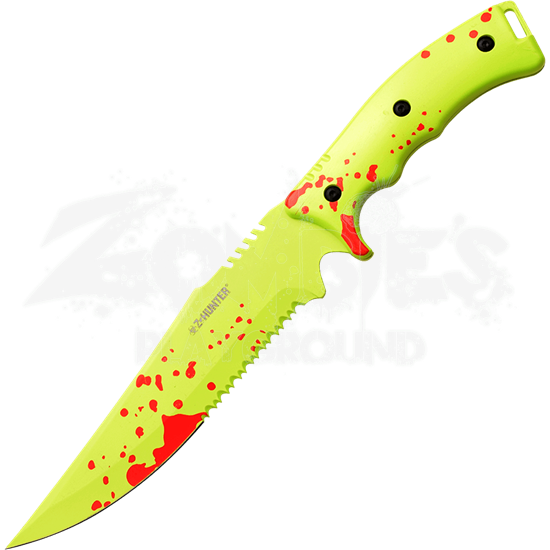 You will want the Neon Spattered Zombie Survival Knife when the walking dead try to take over the earth, and it will come in handy until then too. Crafted from strong stainless steel, this blade is the ideal tool for slicing, thrusting, cutting, picking, and chopping. This fixed blade features fine serration on both sides, which allows for sawing capabilities should the occasion arise. The nylon fiber handle has finger grips so it is not only comfortable, but also resistant. 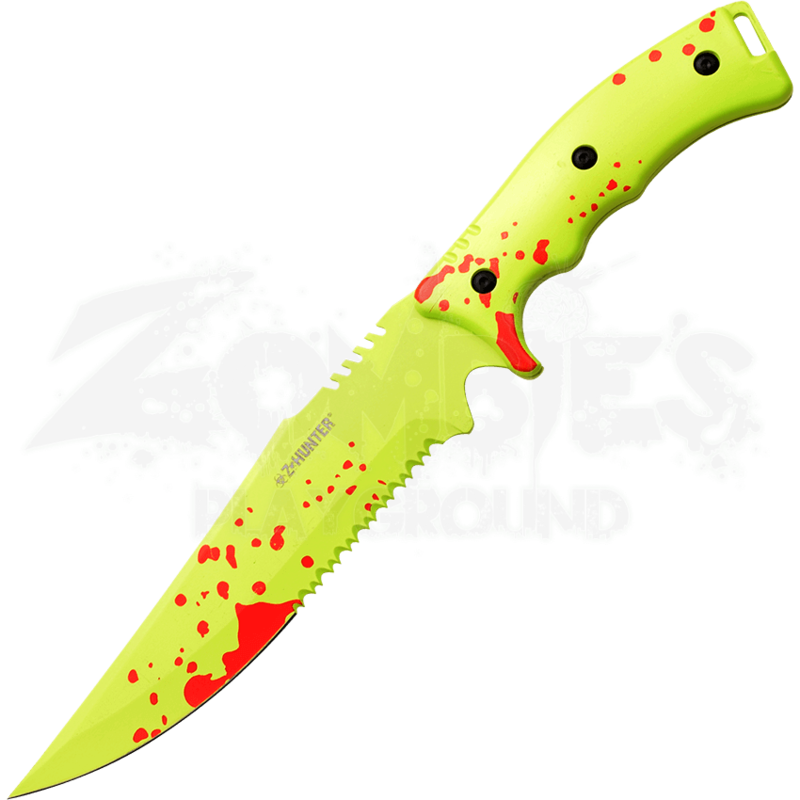 The most eye catching feature is the color of the knife, which is covered in zombie green with red spatters across the surface. When zombies attack, you cannot have enough protection, so make sure the Neon Spattered Zombie Survival Knife is a part of your pack.